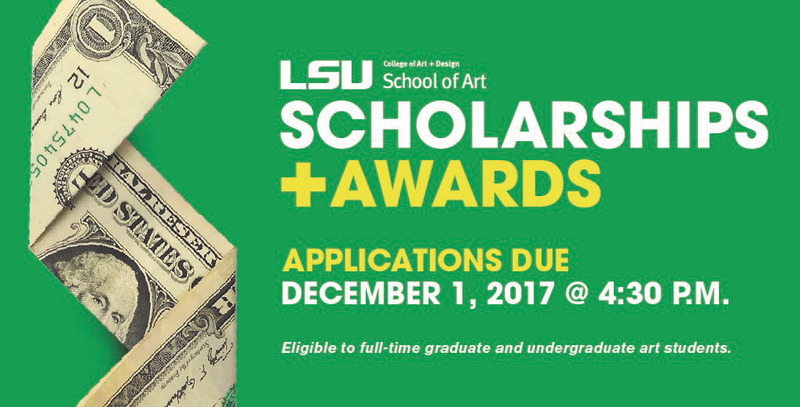 LSU School of Art students who meet the individual scholarship and award criteria provided are encouraged to apply. Scholarship recipients are notified and announced each spring. 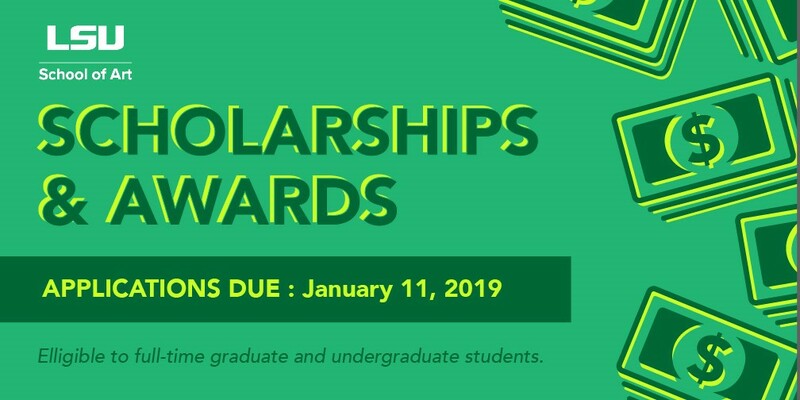 The criteria, application requirements, and amounts provided below represent the scholarships and awards to be granted in the 2017–18 academic year. Applications due in Slideroom by January 11, 2019. Only full-time graduate and undergraduate students in the LSU School of Art are eligible to apply. Full-time undergraduate student in the School of Art. This cash scholarship is given at their final meeting in May. *Note that scholarship and award amounts vary from year to year according to available funds.